Picture cruising around Alabama in an upscale midsize sedan that can tackle your daily driving needs with ease. If you’re interested in a vehicle that offers you with unparalleled luxury, then the 2015 Hyundai Genesis is the car for you. At Jim Burke Hyundai in Birmingham, AL, we have a large selection of new Hyundai models for you to test drive. We proudly serve Hoover, Tuscaloosa, Talladega and Jefferson County, AL with new vehicles at amazing prices. Pay Jim Burke Hyundai a visit at 1424 5th Ave. N and see how luxurious the new Genesis is. The upscale midsize sedan has always been a popular segment, so let’s see how the 2015 Hyundai Genesis performs against the Audi A6. The first thing you’ll notice about these two vehicles is the price difference separating the two. The new Genesis has a MSRP of $38,000, while the A6 has a starting price of $46,200. That’s a price difference of $8,200. With its lower price tag, the new Genesis is great value for money and is the better bang for your buck. If you’re searching for a luxury vehicle without the luxury price tag, then the new Genesis won’t disappoint. While both of these vehicles are classified as upscale luxury sedans, the new Genesis features two powerful engines that make driving the vehicle more enjoyable on a daily basis. The base Genesis has a 3.8L V6 that produces 311 hp and 293 lb.-ft. of torque. In comparison, the entry-level A6 comes with a 2.0L inline-four that makes 220 hp and 258 lb.-ft. of torque. The range-topping Genesis packs a 5.0L V8 underneath its hood that generates 420 hp and 383 lb.-ft. of torque. 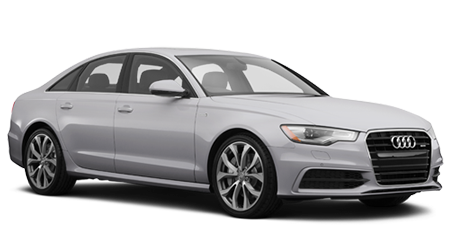 The most powerful engine on the A6 is a supercharged 3.0-L V-6 that makes 310 hp and 325 lb.-ft. of torque. One thing Hyundai vehicles are known for is their comprehensive warranty. After test driving the new Genesis at Jim Burke Hyundai, we’re certain that you’ll want to use the vehicle on a regular basis. With the vehicle’s extended warranty, you can use the vehicle in confidence. The Genesis comes with a 5-yr./unlimited-mile 24-hour roadside assistance, 5-yr./60,000-mile new vehicle limited warranty, 10-yr./100,000-mile powertrain warranty and 7-yr./unlimited-mile anti-perforation warranty. The 2015 Hyundai Genesis is one of the best luxury vehicles on the market today. When comparing the Genesis to the Audi A6, the Hyundai has the upper hand with its powerful engines, great value and extended warranty. 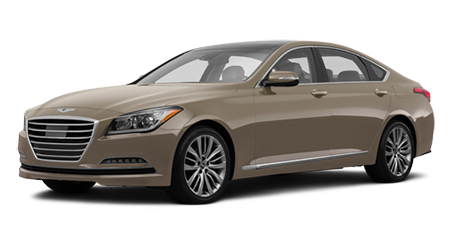 Visit Jim Burke Hyundai in Birmingham, AL at for a first-class experience and check out the new Genesis today.